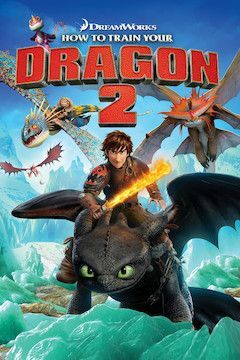 Five years after uniting Vikings and dragons on the island of Berk, Hiccup (Baruchel) is feeling pressure from his father to take over as chief. Not yet ready to take on the responsibility, Hiccup frequently escapes with his dragon, Toothless, to explore uncharted lands. One of their flights takes them to a secret ice cave, where they find hundreds of dragons, as well as the mysterious Dragon Rider. When two dragon hunters threaten to shatter the peace, Hiccup, Toothless and their friends must prepare to do battle.